Our Signature piece, the Donum table is simple in its elegance yet complex in its form. 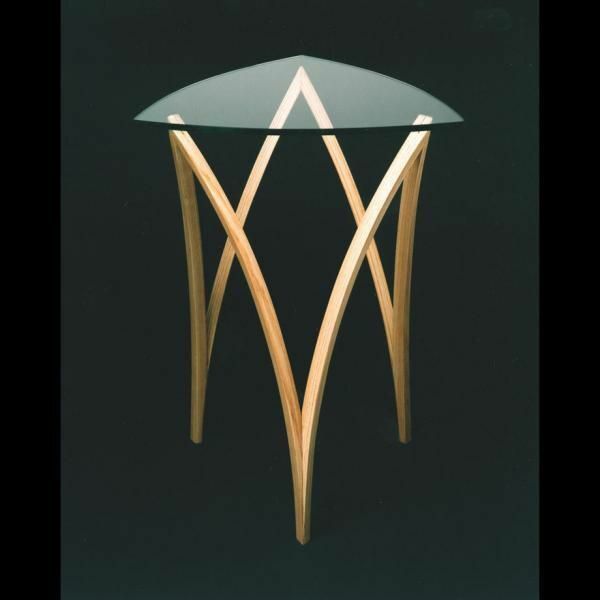 This table is comprised of three intersecting arches. The compound curves add a rare dimension to its beauty and visual symmetry. 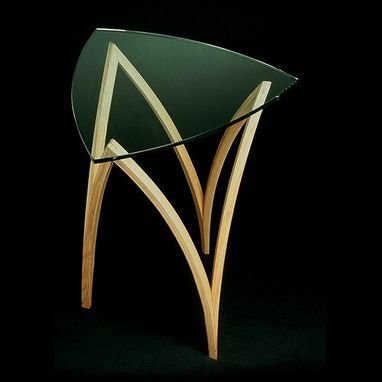 It is made of laminated ash with dyed pear veneer detailing and tempered glass. 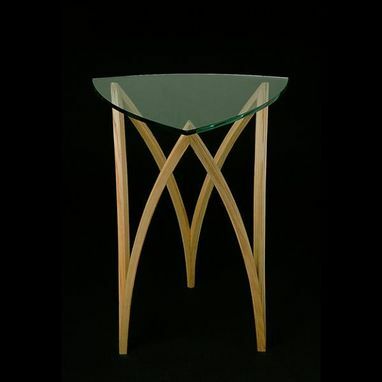 Dimensions: 18" x 18" x 24"